Despite its supreme importance and the threat of its global crash, biodiversity remains poorly understood both empirically and theoretically. 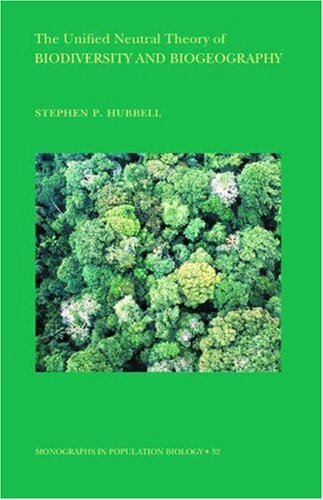 This ambitious book presents a new, general neutral theory to explain the origin, maintenance, and loss of biodiversity in a biogeographic context. Until now biogeography (the study of the geographic distribution of species) and biodiversity (the study of species richness and relative species abundance) have had largely disjunct intellectual histories. In this book, Stephen Hubbell develops a formal mathematical theory that unifies these two fields. When a speciation process is incorporated into Robert H. MacArthur and Edward O. Wilson's now classical theory of island biogeography, the generalized theory predicts the existence of a universal, dimensionless biodiversity number. In the theory, this fundamental biodiversity number, together with the migration or dispersal rate, completely determines the steady-state distribution of species richness and relative species abundance on local to large geographic spatial scales and short-term to evolutionary time scales. Although neutral, Hubbell's theory is nevertheless able to generate many nonobvious, testable, and remarkably accurate quantitative predictions about biodiversity and biogeography. In many ways Hubbell's theory is the ecological analog to the neutral theory of genetic drift in genetics. The unified neutral theory of biogeography and biodiversity should stimulate research in new theoretical and empirical directions by ecologists, evolutionary biologists, and biogeographers. 8. 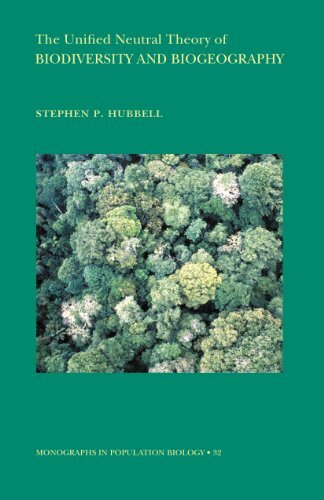 The Unified Neutral Theory of Biodiversity and Biogeography (MPB-32) (Monographs in Population Biology) [Paperback] Hubbell, Stephen P.